Welcome to our Season of Teas Subscription. Explore exotic teas from all over the world while helping raise money for your favorite cause. 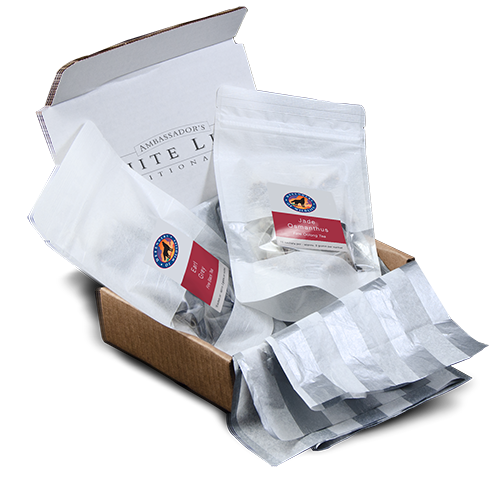 For every subscription purchase you make, White Lion Tea will contribute 10% of the purchase price to your organization. This is a new way for you to support your passion month after month! Choose either hot tea or iced. We select only the finest teas, each blended to pair beautifully with the season. 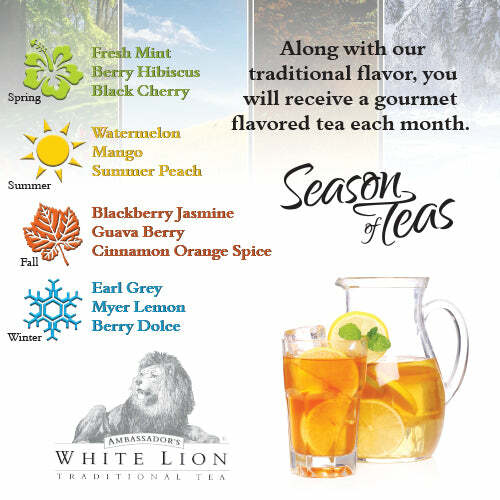 Order Season of Teas today and savor the luxury of White Lion Teas. Perfect for you, or perfect as a gift for family and friends! 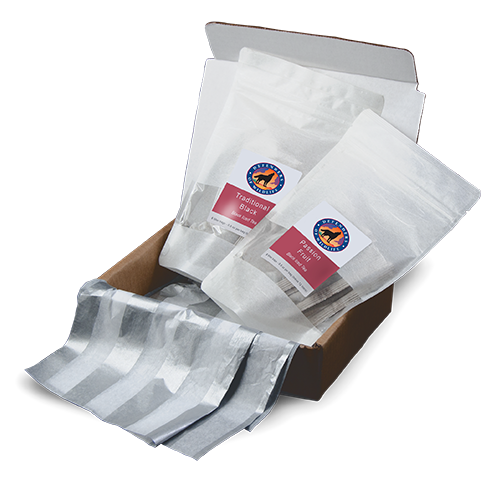 Monthly hot tea selections include two resealable packages of whole leaf silken sachets; a total of 30 sachets for a month's worth of pleasure! One package will be a specialty tea packed with flavors of the season, and the other will be an all-time classic. Your first month will feature our exotic Green Passion along with Classic English Blend. Look forward to savoring blends like Chocolate Truffle, Tuscan Garden, Ginger Peach, and Apple Cider. Enjoy classics like Darjeeling, Earl Grey, Masala Chai and Moroccan Mint. We select and ship teas paired with the season, so every month you’ll have a delicious surprise in your mailbox! Click on the link below to view our seasonal portfolio. Monthly iced tea selections include two packages each with six 2-quart filter bags. That’s a total of 24 quarts of refreshment! One package will be will be a specialty iced tea packed with flavors of the season, and the other will be our ever-popular Traditional Black. Your first month will include exotic Passion Fruit along with Traditional Black. Look forward to refreshing blends like Summer Peach, Watermelon, Blackberry Jasmine and White Hibiscus. We select and ship teas paired with the season, so every month you will have a delicious surprise in your mailbox!